Erik Frankhouse Presents. A show about freelancing and the tabletop industry. Watch. Listen. Learn. Be a better gamer. In episode 36 I talk about running a two player game and how to do it. Full of tips and tricks to add to your 5e game or to any game you may be running. Watch. Listen. Learn. Recorded this early early Sunday morning during GaryCon XI. My voice is a bit trashed but I wanted to get my thoughts out while they are fresh. Watch. Listen. Learn. Be a better gamer. Today I want to talk about Backgrounds from both sides of the screen. I have a few tips and a lot of forgotten backgrounds over my years, so let’s talk about how to make them work for your games. Ep 33 Deep dive interview with iron GM competitor David Benevides about running comic books RPGs. Comic book tabletop RPGs is the hardest thing for me to run as a GM. With that said I brought in a friend and Iron GM competitor, David Benevides to dig deep on how to make comic book games better. Watch. Listen. Learn. Welcome back to episode 32 where I dive into running negotiations in tabletop RPGs. Watch. Listen. Learn. Today is all about playing old games. I had a blast diving back into Cyberpunk with two of my best friends. I urge you to try the same thing. Watch. Listen. Learn. I’m extremely honored to have the 3 time Iron GM winner, Necessary Evil on for a deep dive interview. I do apologize in advance fro anything he says that may offend you. In today’s episode is all about rewarding players for character development and the systems I love that already do it. Remember, Watch. Listen. Learn. Let’s talk about how to set the tone for your game. Each setting deserves some study to make sure you are doing it justice. Thanks to Drew for the Bumper and remember, Watch. Listen. Learn. In today's episode I go over how magic in games is an important piece to a setting. I go over how to ground it into your experience and some of my ideas on free form magic. Remember to call in through the Anchor app and thank you again for listening. Watch. Listen. Learn. Let’s talk about what you can do as a Player to make a better PC in episode 24 of EFP. Watch. Listen. Learn. Ep 23 It's a Trap! Today we talk traps on both sides of the gaming table. We touch on why the exist. How to use them. Abusing their power and how PCs can use the rules to their advantage. Remember to Watch. Listen. Learn. It’s time to dig into the ugly skill in the room, STEALTH. Maybe even find a solution! Watch. Listen. Learn. Today I want to talk about designing your own setting and what my process is. Hopefully this will help at least one listener during the creative struggle. Watch. Listen. Learn. In this episode we go over Narrative in gaming on both the GMs and Players side of the Screen. This is followed up with an announcement I have been waiting for. Go roll some dice and remember to Watch. Listen. Learn. My voice is shot, and this is recorded in the car but I wanted to get these thoughts out before they fade. Let’s talk about GaryConX and Pathfinder 2.0. Today we talk about how we should approach a table with new players or GMs. Remember to drink, roll some dice and share. This is an episode about pacing your tabletop RPGs and storytelling. I hope you enjoy. Remember to call in using the anchor app and follow my patreon for more of my work. Phylactery Session 5 Precast • Precast thoughts • Upping magic! EP 10 House Rules • Why do you need them? • When and how to apply them. • Designer House Rules. • How to present them. 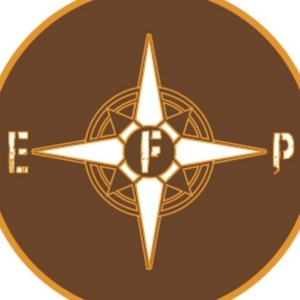 • EFP! • Answer to Hobbs • Wrap Up. EP 9 New Year. New Campaign? EP 8 Dungeons and Story • Why and Who • Traps what are they good for? • Puzzles in tangible ways • NPCs are important • Closing Call in! Ep 5 West Marches • Why West Marches • The Breakdown • Handling rules for your system in WM • New Releases • Roll some dice • Uppercuts. Remember to call in and my Patreon Adventure Releases tonight! EP 4 New Rules • From the Rocking Chair • Ruler • Call in from Sean at Gaming & BS. Happy Thanksgiving from EFP. Now go roll some dice and drink a beer. Erik Frankhouse Presents a deep dive with Brian Berg owner of TPK Games. We talk bout running a business to how one gets into the industry. EFP Nov 9 2017 GameHoleCon • I love GameHoleCon • Closing and Podcasts! Talk about my time at GameHoleCon and what I love about it. Don’t forget to call in.